Kitchen with Dining Table Seating for 4 people. 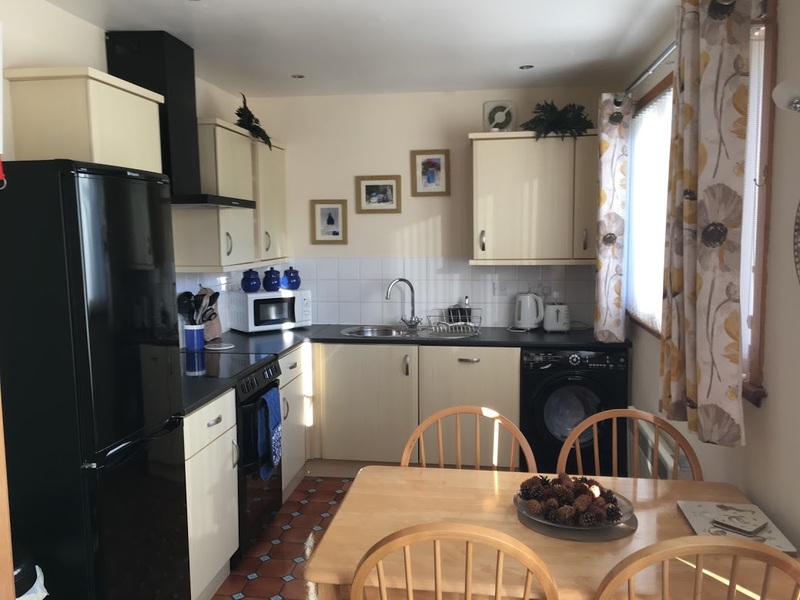 Fully Fitted Dining Kitchen with Table seating for 4 Guests including full size Fridge/ Freezer, Dishwasher, Ceramic Hob/ Double Oven Cooker and Washing Machine/Dryer - Microwave, Kettle, Toaster and well stocked with Crockery, Glassware, Utensils. WiFi 4G during your stay for Heron Lodge Guests.